For most, if not all assignments, interpreters receive documents electronically. They sign contracts and send invoices electronically. In addition, they spend a good part of the year on the go and they are expected to maintain communication with clients irrespective of where they are. As a result, they need a mobile office. Technology can help make an interpreter’s life easier. This one hour webinar is approved for CEUs by CCHI, RID, and courts in such states as MI, KY, NC, NE, NM, TN. Cost: $30. 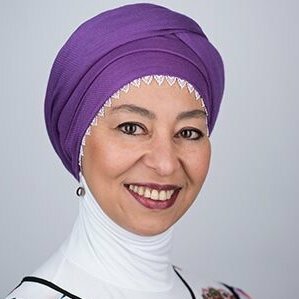 About the presenter: Maha El-Metwally is a conference interpreter who works for a wide range of international organisations, including the European Institutions and the United Nations. She is a member of the International Association of Conference Interpreters (AIIC), The Chartered Institute of Linguists (CIoL) and the American Translators Association (ATA). She is also a Board member of the Admissions Committee of the Institute of Translation and Interpreting (ITI). Maha is interested in technology for the field of interpreting which she incorporates in her daily work. She has an M.A. in Interpreter Training from the University of Geneva where she wrote her thesis on conference preparation with tablets. She is associated with a number of universities both in the UK and abroad where she gives professionalization talks.